We would like to say thank you to the Pirkle family for sharing their Experience with us. 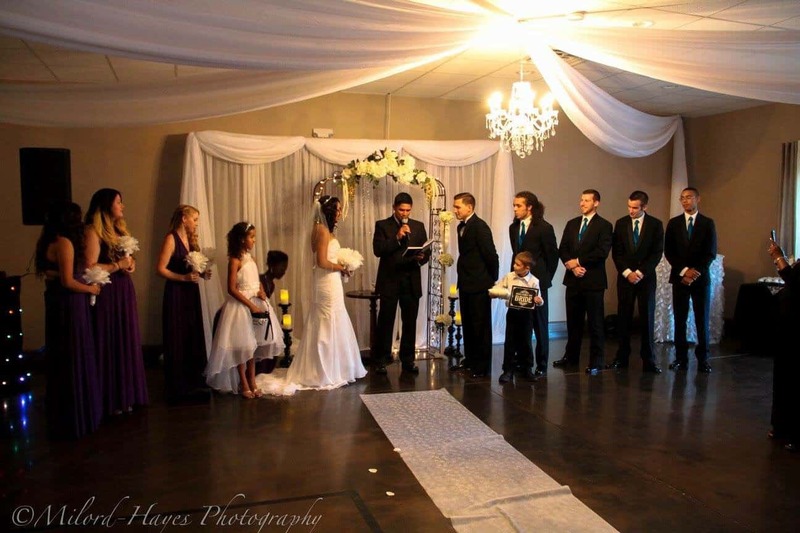 On September 19th, 2015, the Event Room had the honor of hosting Desire’ and James Pirkle’s nuptials and beautiful reception. Their colors were a classy black and white with Damask print. 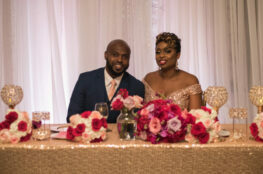 The couple chose the Event Room wedding package for their special day. 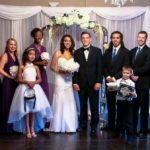 This package includes everything they needed for the ceremony and reception including the DJ, centerpieces and much more. It is the biggest day of your life, one you have been dreaming about for as long as you can remember. You have the perfect dress, flowers and your bridal party is looking beautiful. The groom and groomsmen are looking dapper in their attire. All that is left to do is to walk down the aisle, say “I DO” to your beloved and then celebrate with your family and friends. Our venue is the perfect place for your first dance as bride and groom. 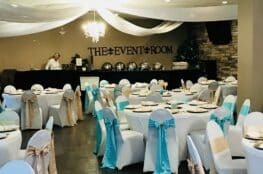 All of your dreams are coming true at the Event Room in Fort Walton Beach, Florida. You may have all the details worked out or are a do it yourself, bride and groom. Whichever type of planner you are, we are here to accommodate you. We have a variety of packages to match your specific and unique needs. Book with us today and let your event speak for itself! You can view our catering menu, pricing for a la carte items and packages here on our website. We also have add-ons that will complete your special day with catering, reception photography, the day of event management and much more. 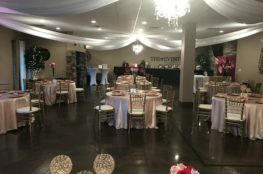 The Event Room is conveniently located in the heart of beautiful Okaloosa County in Fort Walton Beach. We have ample parking and offer everything you will need for your big day or special event.